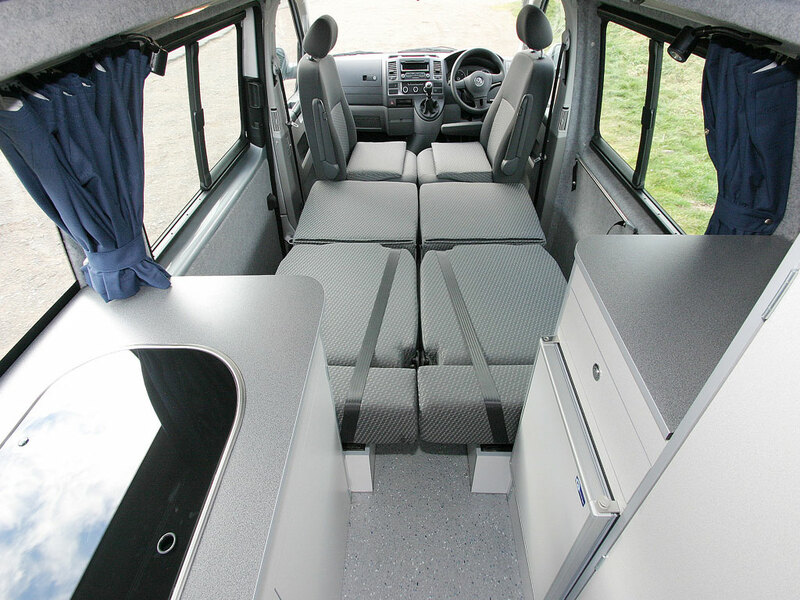 In our Taransay, Sanna and Jura we can offer the option to slide the two single beds into a double bed at 120cm (4 ft) wide and 2m (6 ft 5”) long – this is achieved through rotating the front seats by a quarter turn and not fully. 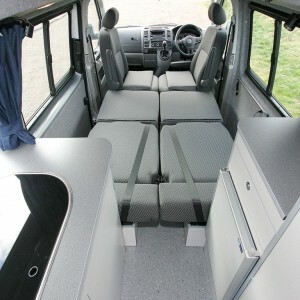 This slide system keeps the base seat frame in a fixed position and moves just the cushion section, it will also enable either seat to be slid forward by 20cm for both travel or leisure – with children sat behind the front seats this option allows you to move them closer to you for picking up those dropped toys without too far to reach, or just makes it easier to chat! 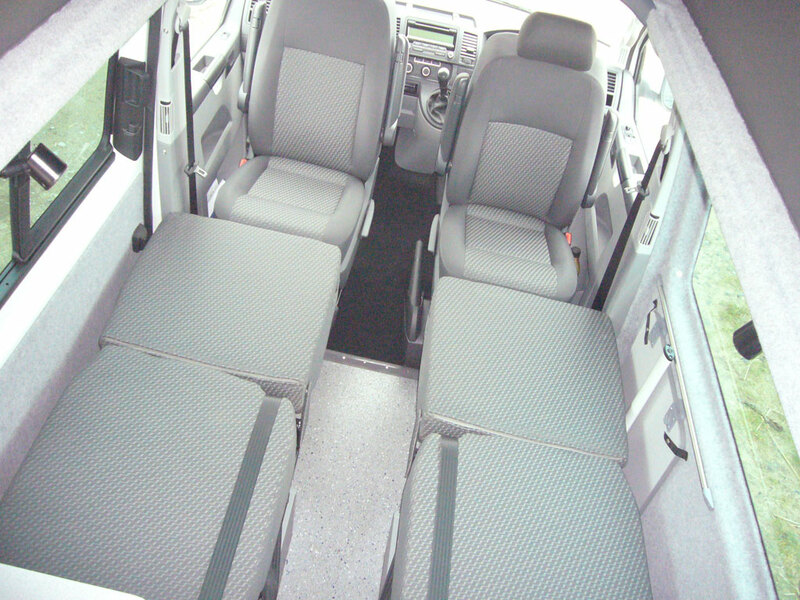 Please note though that it’s not possible to also slide the two rear single seats together to make a double seat for travelling as this places the seatbelts out of line. 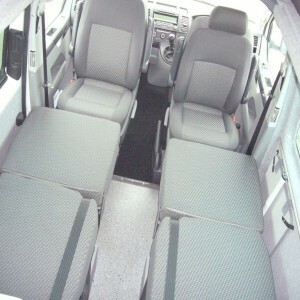 For seated travelling the seats must be in their single positions with the gap down the centre between them.